Taking a serious view of public sharing of Aadhaar details of MS Dhoni, the Unique Identification Authority of India (UIDAI) has blacklisted for 10 years the entity that had enrolled the ace cricketer. The UIDAI has also ordered an inquiry to determine any possible involvement of others and take action as per the Aadhaar Act. "We have blacklisted VLE (Village Level Entrepreneur) who enrolled MS Dhoni for leaking Aadhaar receipt which carried his personal information. At UIDAI, we are very strict on the privacy issue. We have ordered a further inquiry on the matter and action will be taken against all those involved in the leak," UIDAI CEO Ajay Bhushan Pandey told PTI. #UIDAI blacklists centre that leaked #Aadhaar receipt of cricketer M S #Dhoni for 10 years, further inquiry on: UIDAI CEO. He also said action will be taken even against those involved in tweeting the picture of the receipt through the official Twitter account (CSCeGov) of the state-run CSC e-Governance Services. The UIDAI crackdown came after former Indian skipper Mahendra Singh Dhoni's wife Sakshi raised privacy issues over details of the cricketer's Aadhaar card being leaked on Twitter. 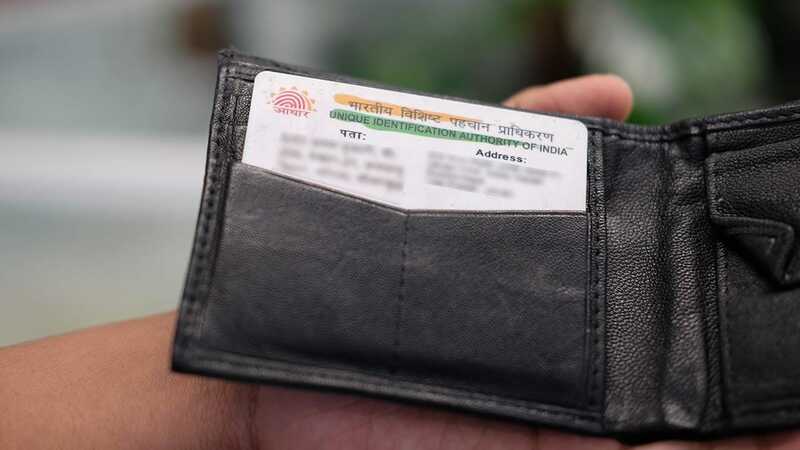 She complained about the matter to Union Information and Technology Minister Ravi Shankar Prasad, who said no such details were revealed and assured that Aadhaar was secure. Sakshi took to Twitter to draw Prasad's attention after a volunteer of the Common Service Centre involved in Aadhaar implementation tweeted his picture with Dhoni along with a screenshot of the cricketer's Aadhaar page. 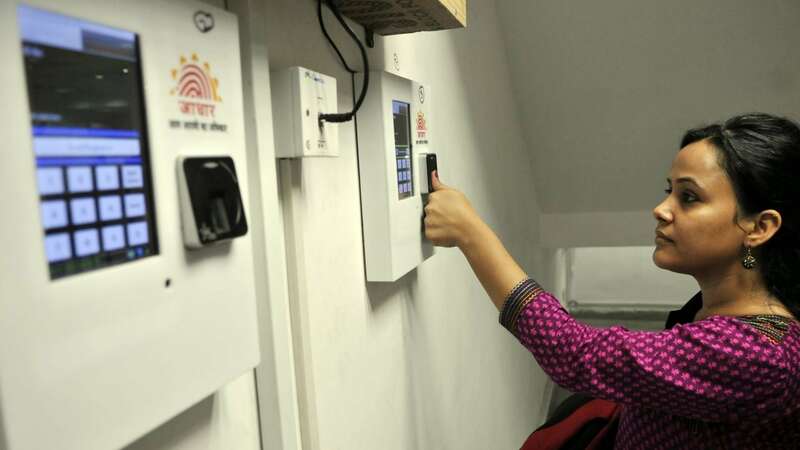 The agency's Common Services Centre (CSC) through its handle @CSCegov had posted a tweet on Tuesday saying "ace cricketer Mahendra Singh Dhoni and his family get their Aadhaar updated at VLE Mariya Farooqui's CSE at Ranchi, Jharkhand". Even, the IT minister had unintentionally retweeted the same tweet, not realising the personal details of the cricketer being shared along with it. In a series of tweets, Sakshi had expressed her displeasure over the personal information being made "public property" and wondered "Is there any privacy left". @SaakshiSRawat No it is not a public property. Does this Tweet divulge any personal information? 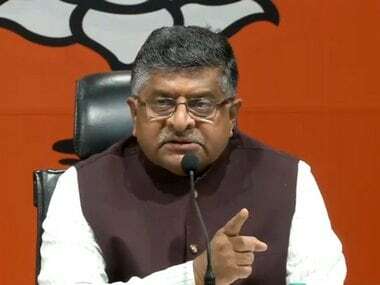 When Prasad replied to Sakshi's tweet clarifying no such information had been divulged, she was quick to tweet back explaining that it was not the photo that she was worried about, but the application form details that leaked out some of his personal data. @SaakshiSRawat Thanks for bringing this to my notice. Sharing personal information is illegal. Serious action will be taken against this. @rsprasad thank you Sir ! Appreciate your prompt reply ! Afterward, the offending tweet was deleted and CSC re-posted the image of Dhoni getting fingerprinted without the screenshot of his application. "Dhoni is not a just big cricketer but an equally big national hero. I admire him for getting his Aadhaar through Common Service Centre (CSC). I came to know that the volunteer was overawed by Dhoni's presence and out of excitement he tweeted the picture. But no personal details have been revealed," Prasad told IANS. "I have asked the CSC to ensure such things are not repeated. 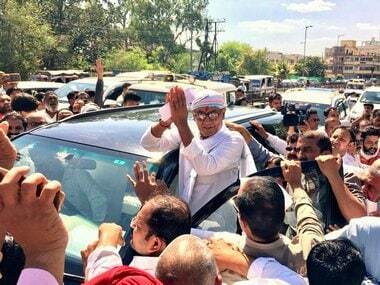 I assure all that Aadhaar is safe and secure. 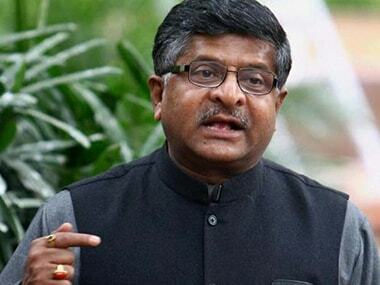 No personal details will be revealed," added Prasad. On Wednesday, Congress general secretary Digvijaya Singh criticised the IT minister for what Singh considered to be negligence. Singh said that Sakshi's anger in this matter was completely justified and asked Prasad to immediately apologise to Dhoni. He should apologise immediately and another Adhaar Card should be made for Dhoni. His wife Sakshi is fully justified to be angry and upset.